I knew this guy once when I was younger named Keith. I wasn’t extremely close with him, but I knew of him. He was a good, predictable guy. You could count on him. He was respected and liked. When he got older, though, he started to change. He did some things that altered the way I perceive him. In fact, I really didn’t respect him much, and preferred to distance myself from him. 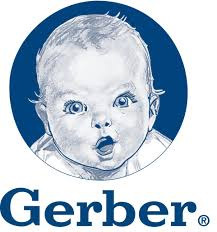 That’s kind of the way how I look at Gerber now, you know, the company with the baby-faced logo. That old school face hasn’t changed for years, and that’s just the way I like it. It has a dependable, trustworthy look of yesteryear. I grew up on its food and products, and likely my parents did too. There’s a lot to like about that, and great comfort in it. About twice a year I continue to receive a mailing from Gerber that’s targeted strictly to moms, which is fine. I greatly understand the need to market specifically to certain “targets” and I’m all for that, but I have yet to receive that same mailing with “dad” plastered all over it. – Envelope is pink/purple with flowers imprinted. – Letter and insert combined have four photos of mom-with-child. C’mon Keith…er, I mean, Gerber. I’d really have no problem with this piece altogether if you just: 1. Sent out one targeted to dads once in a while; 2. Didn’t make it so two-faced. Dads help raise kids and make decisions about life insurance, too! You’re making dads feel like outsiders. You’re making dads feel like they don’t count. 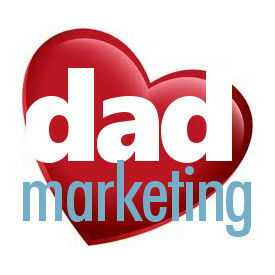 You’re distancing dads from your brand name. I love my parents, so I love using those brands that they used. So, don’t go changing on me. “Old school” works great with your logo, but not with the way you do your marketing.